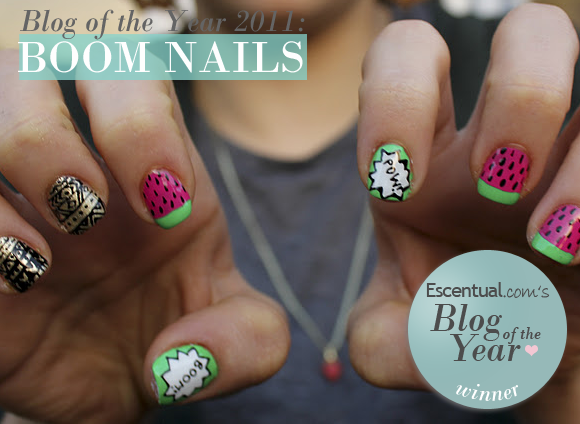 … the wonderfully talented Emma of Boom Nails! Boom Nails features some of the most creative and intricate nail art we’ve seen in the blogosphere, and it seems you guys think so too. Check out Monsters/Bacteria? !, African Inspired, and Mixed Animal Print for Georgia for just a taste of Emma’s fantastic design work. 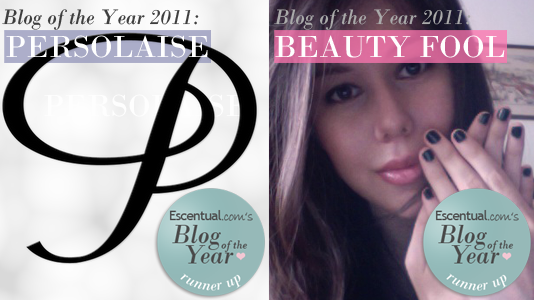 As the number of responses was so great, we wanted to give a special mention to the two runner-up blogs who each scored a high number of votes: expert fragrance blog Persolaise, and Singaporean beauty blog Beauty Fool. Both will receive a £50 voucher for Escentual – well done, guys! Don’t forget to give the other blogs in our list a visit for just a taste of how knowledgeable and vibrant the beauty, fragrance and lifestyle blogosphere is! This entry was posted on Tuesday, February 7th, 2012 at 2:56 pm and is filed under Blog of the Week. You can follow any responses to this entry through the RSS 2.0 feed. You can skip to the end and leave a response. Pinging is currently not allowed.